When disaster strikes, it can be devastating. People lose everything, there’s no one to blame, and the feelings are overwhelming. 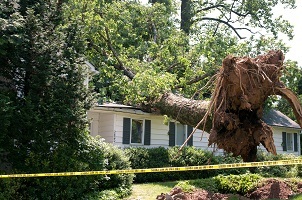 At Integrity Restoration & Remodeling Contractors, LLC, in Smyrna, we understand what a natural disaster can do to a person and his or her family. Your home is probably your largest investment, and it’s the place where you seek safety and refuge. Follow these tips to help protect it and you during a natural disaster. If your home is at risk of earthquakes or powerful windstorms, strapping down anything that could move is important. Your water heater should be secured by a professional plumber. Your shelves, televisions, and other large furniture pieces should be bolted to the wall. The wheels on your appliances like your fridge should be disabled. Chimneys should be made secure with steel straps. You won’t have a warning when the next quake strikes, so do this today and make sure you’re ready. Most people might think about money, gold, and their vehicles when they think of valuables. However, your real valuables are those things that can never be replaced. After a disaster like a fire, most people aren’t concerned about the home or the furniture. They’re concerned that they lost all of their children’s baby photos. In the digital age, it’s easy to upload those to the cloud and not have to worry about what happens to your memories when disaster strikes. Talk to your insurance agent and see what your policy covers. Some policies don’t cover flood or water damage in Smyrna, and the line can be drawn finely when the fire is put out by a lot of water being poured on the home. Talking to your agent allows you to update your policy and feel better about being safe in your home. During a disaster, always follow the recommendations of the authorities. If the tell you to evacuate, don’t hesitate.